University of Illinois students wait to board at the Illini Union on Green Street. This stop is central to campus and MTD service. It began with an experiment in 2008. The Champaign-Urbana Mass Transit District (MTD) took a popular route, the 5 Green, and increased its frequency. But instead of investing in the entire route, we focused on the center portion that supported the largest number of boardings and alightings. This portion, the meat of the route, operated between three major nodes of service. This abbreviated routing transported riders from the center of our district to both downtown areas that lie to the east and west. MTD branded it the GREENhopper and it increased frequency on the shared portion of the route from 30 minutes to 15 minutes. While we design our service to satisfy many populations, this experiment was directed toward the University of Illinois at Urbana Champaign (UI) campus. Green Street, which the 5 Green runs mostly along, is at the very center of the UI campus as well as the center of the twin cities we serve, Champaign and Urbana. Once outside the campus boundaries, Green Street runs near both downtown areas. Apartments and small homes are sprinkled all along the way, many of which are inhabited by University affiliates. Green Street is attractive to serve because it has thorough infill development. 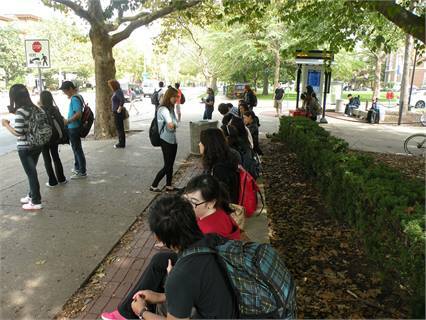 UI students, faculty, and staff make up a majority of our ridership during the months of the fall and spring semesters. The investment of increased frequency via the GREENhopper sought to increase connectivity between the three major nodes as well as simplify service. Since most UI riders were traveling within those boundaries, they often did not have to worry about catching the full Green versus the GREENhopper — both options worked. We theorized that this simplification, coupled with increased frequency, would lead to increased ridership. For four years, MTD ran the GREENhopper during the weekdays, weekday evenings, and Saturday evenings only when the University of Illinois was in session. The full Green continued to run year round and also ran Saturdays and Sundays during the day. The Green and GREENhopper take riders to MTD’s intermodal facility, Illinois Terminal, in downtown Champaign. Many riders are within walking distance of their destination already or may easily make a transfer. Each year ridership grew on both the GREENhopper and the Green. Every hour nearly every trip would end up with standing room only once the route had left campus to travel east to downtown Urbana or west to downtown Champaign. With so many trip generators along the route, the doubled frequency gave riders greater mobility creativity. Soon community members who stayed in Champaign-Urbana year-round began to resent the loss of the GREENhopper during UI breaks, especially during the three months of summer vacation. Some 15,000 people are employed by the University year-round. But there were other non-UI affiliates who came to rely on its speed to get them quickly between the two downtowns. We began to hear rumblings: MTD favors the UI students. MTD ranks campus a higher priority than the community. The service is designed around the University. These complaints are not altogether untrue. Since 1989, MTD has worked with the UI administration to contract unlimited access to our fixed-route service for the students and a separate contract for faculty, staff, and retirees. As mentioned above, this population is central to our ridership as well as our funding source. Without this partnership, residents of the cities we serve would not have nearly the level of service they currently enjoy. The population of our district is approximately 130,000 and UI enrollment is 42,000. 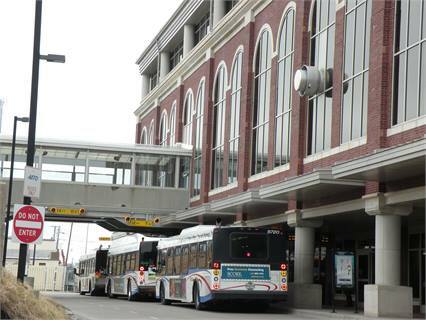 For a combined population of just 172,000, MTD turned around 12,028,172 rides in fiscal year 2013. In 2008, at the start of the GREENhopper experiment, MTD provided 9,365,436 rides. That’s nearly a 25% increase in ridership in four years. But all the justifications aside, we appreciated the community’s demand. 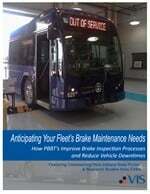 So for our new service year, which begins August 18, MTD is proud to announce year-round GREENhopper service. And to boot, we are extending the western portion of the route to transport passengers to two additional nodes. The first is a major shopping center and the second a community college. This service expansion comes with a nearly $500,000 price tag. But through our experiment over the last four years, MTD staff easily justified the expansion to our board of trustees. The best part has been sharing the news with the community. The success of the GREENhopper has spawned a YELLOWhopper, ORANGEhopper, and GOLDhopper. All of the Hoppers increase frequency for both campus and community riders along the heaviest traveled portions of their parent route (Yellow, Orange, and Gold). Offering decreased headway while minimizing the investment of an entire route has proved successful for our entire district. 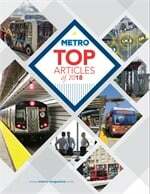 Read our METRO blog, "Sun Tran: Pioneering sustainability in Arizona."